Carina Nebula over Atacama Desert. 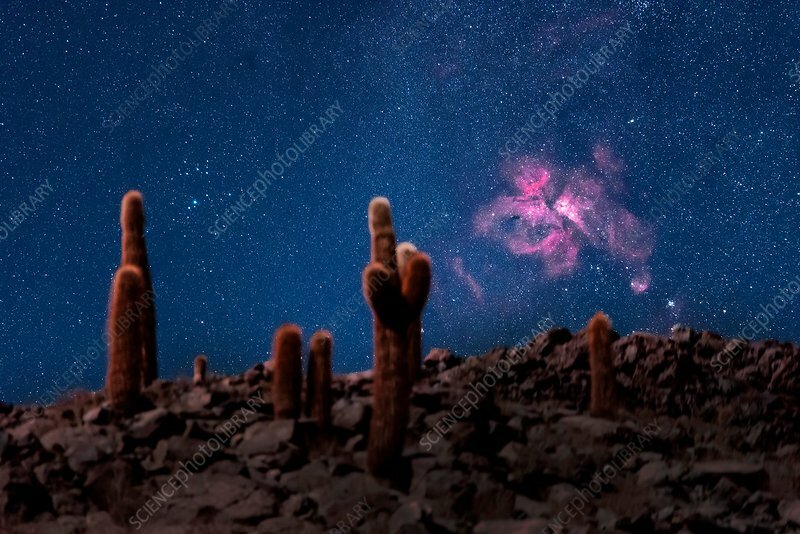 Carina Nebula (NGC 3372) in the night sky over cacti (family Cactaceae) growing amongst rocks in the Atacama Desert, Chile. This starbirth region lies around 7500 light-years from Earth, in the constellation of Carina. It is also known as the Eta Carinae Nebula.